It is a newly beloved favorite. Why? Because it has words like: ice cream, party and cake in it. 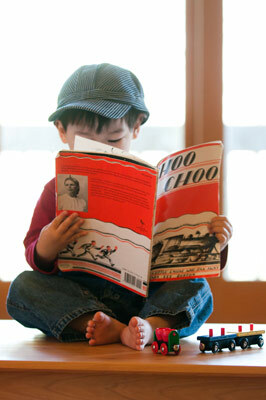 One morning Bookworm2 discovered Choo Choo , by Virginia Lee Burton tucked away in the bookshelf in his room. He pulled it out and asked Daddy to read it to him. We've been reading it, at least once a day, ever since. I'm not kidding. 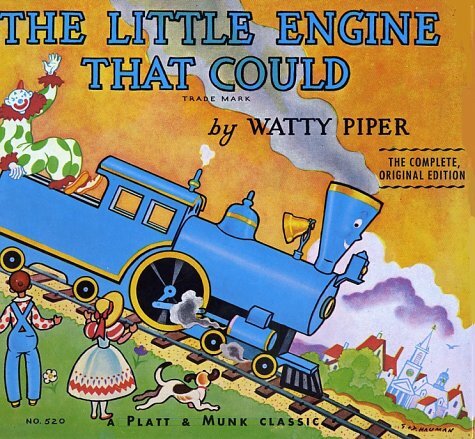 Every single day either Mommy or Daddy sits down and reads Choo Choo to our little choo choo fiend. If you have never heard of this story before, well, let me enlighten you! Choo Choo is the name of the train and she is a smart, small little engine who carries people from the little station in the little town to the big station in the big town every single day. (And naaah, we do not have this book even the teeniest little bit memorized!) One day Choo Choo decides she's had enough of carting people around and she decides she is going to take off all by her lonesome. Her disobedience gets her into a spot of trouble but she does have a wild time of things as she runs away. We recommend any or all of these. With some regularity. Train books can typically and predictably keep Bookworm2 occupied for a good period of time so I have high hopes and dreams for these. We'll see how things go! In the meantime, I'm off to find out what others are reading aloud with their kids. Visit Hope is in the Word to expand your reading list for you and yours. Just because it's fun! We have two Little Engine That Could books...one is an ABC and the other is The Big Chase. Both are very popular here, too. 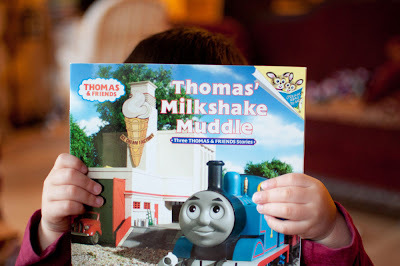 Thomas came out after my kids were past interest in kids' shows and picture books, but we loved The Little Engine That Could and read it multiple times. 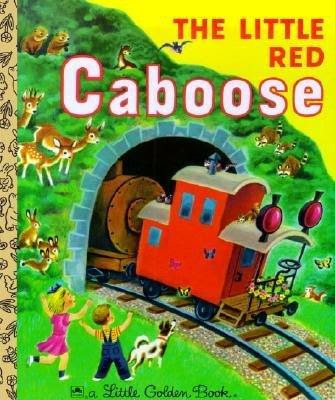 I'm pretty sure we had The Little Red Caboose, too. I see lots of train books in our future! Don't you just love Virginia Lee Burton? love the picture and this post, of course! My little guy has been in love with train books since he was 2, too. He just turned 8, and nothing's changed. Even though he's reading graphic novels now, he'll still take the time to pull an old, beloved train picture book off his shelves! A Thomas was the first toy my daughter saved her own money to buy. Now it's all horses around here, but I remember the train days. Looks like you've got a good book collection to fan the imaginative flames! Your post brought back a lot of memories. 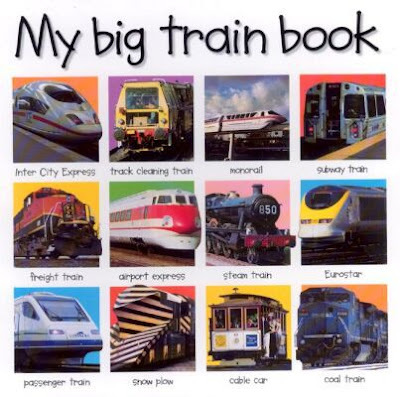 My soon to be 9 year old loved trains and we read all these books over and over and over when he was a little guy. 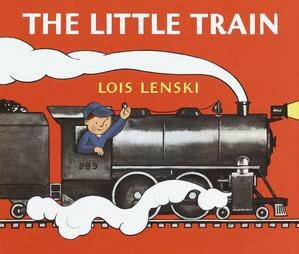 I personally love all of Virginia Lee Burton books and Lois Lenski's "Little" books. My son went through a train phase just a little while ago. His favorites are Chugga Chugga Choo Choo by Kevin Lewis and Down by the Station by Will Hillenbrand.